Hi! Sorry I haven’t posted in a long time. I’ve been training to be a server at Red Robin (that is similar to taking a summer course!). I stumbled upon this article on Better Homes and Garden. The holidays are right around the corner so in preparation here is a great list of ways to make decorative recycled gift boxes. Changing the world one step at a time, DoSomething.org serves as outlet for today’s youth (25 & under) to get inspired and involved. DoSomething.org is an organization with the mission of creating a generation of do-ers that they define as “a world where more than 51% of young people are involved with community action.” According to DoSomething.org, currently there is only 23% of this generation who are actively volunteers. 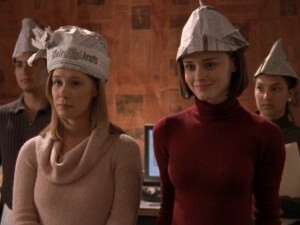 The organization was created in 1993 by Andrew Shue (Melrose Place) and Michael Sanchez. The organization has gone through many changes since then, shown through the over 1.2 million young people who took action through DoSomething programs last year. This year the goal is to surpass that number and make it to 2 million volunteers! DoSomething has had great press with the amount of celebity involvement. The list of the top 20 celebs on the DoSomething blog “Celebs Gone Good” includes names such as Unicef Goodwill Ambassador, Alyssa Milano (Charmed); noted environmentalist and actor, Leonardo DiCaprio (Inception); and diabetes advocate, Nick Jonas (The Jonas Brothers). Now through September 13, YOU can team up with Staples and Pretty Little Liars to participate in DoSomething.org’s project Staples for Students. There are many ways to paticipate in this 4th annual campaign. You can donate school supplies at your local Staples, run a supplies drive in your community, or join the stars for your chance at winning some awesome prizes. You can also choose to donate money. Donations fund DoSomething grants, volunteer projects, clubs and more. You can pick your price and your cause. Americans Love the Environment and Baseball! This is an environmental blog, but people have more than one interest. So here’s my first non-environmental “Check It Out” post. My boyfriend, and love of my life, Spencer Moody just might be the #1 fan of the Cincinnati Reds. If you are interested in Major League Baseball and/or like the Reds, then you should check out his blog “Moody Baseball.” We recently attended the Dusty Baker Bobble head night when the Reds played the Indians. This was my first Reds game and I am now hooked. Perhaps my new mission will be to get baseball parks to recycle! Needless to say, we took our empty plastic bottles with us! 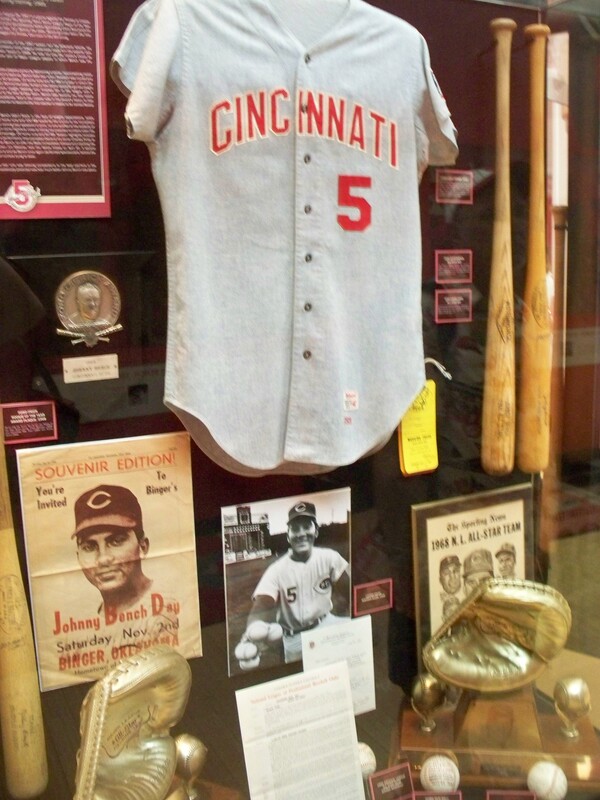 We also went through the Great American Ballpark’s Hall of Fame and the player attraction was for Johnny Bench. Looking around my own apartment I can see piles of junk that have collected throughout the year. Why do I keep all of this stuff? Maybe I’m just a packrat or maybe the environmentalist in me cannot bear to throw things out. Either way, I need to make a change. Everyone has a few old newspapers laying around that either have been or meant to have been read. If you just cannot fit newspapers into your car because all of your other recycables take up the space, then here are some alternative uses. PAPER MACHE. Cheap, fun and not just for kids! Paper mache can be used for all sorts of projects. For halloween or a themed party, paper mache is a creative and oiginal way to make your own mask. For birthday parties or bachelorette paties make unique pinatas. 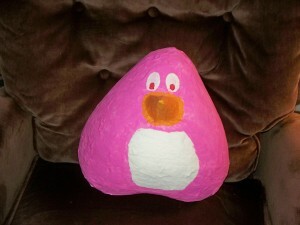 Paper mache can also be used to make banks, boxes and toys. The great thing about making paper mache is that all of its ingredients are already in the kitchen. If you don’t have glue you can substitute flour. CLEANING. I uses old newspapers as a substitute for paper towels. They’re pretty good for soaking up grease or spilled liquids. PACKING. As a college student, I’m constantly on the go and in transition from campus, home, and apartment. 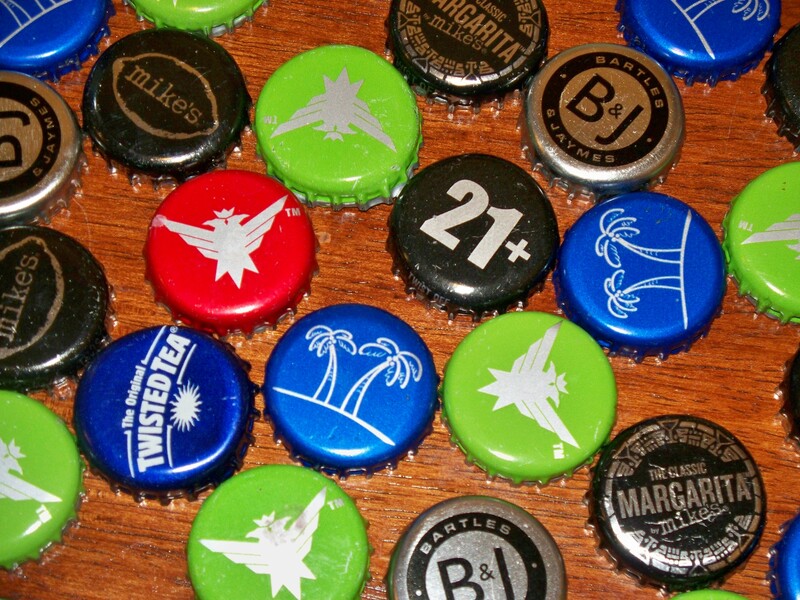 Save your packing newspaper with your boxes so you never have to search last minute for ways to keep your shot glass collection from busting. PICTURE FRAMES. Making a picture frame and putting a nice picture of you and a friend/significant other is an intimate gift that shows you care; and it’s light on your wallet. I have a few friends that are not 21 yet and thought this would be an original gift that stands out from the shot glasses and drinks she won’t remember she had the night before. However, my gift offers the opportunity to showcase her classy behavior for years to come. TABLE. A friend of mine knew someone who used bottle caps to decorate a table. I believe he glued them to the table and then covered it in a clear, hard surface such as plexiglass. JEWELRY. It’s as easy as punching holes and tying string. Making a one-of-a-kind bracelete for a friend or for yourself can be fun. Show off your beverage of choice! DOG TOYS. I learned how to do this at one of my Circle K International meetings (no not the gas station). Take an old t-shirt and cut it into strips horizontally. Then stretch the stips as far as you can. Afte the prep is over with simply make many thick braids and tie a knot. QUILT. If you are expecting or know someone who is, this is a neat idea if your mom kept all of your baby clothes. I’ve always wanted to make a quilt out of band t-shirts. Quilts are great because they can be made from many differently designed material and still look amazing. My mom has a quilt made out of patches of jeans. Sorry for the recent lack of posts. I was in a car accident on May 1st and that also happened to be the day before final exams week. Painful whiplash and 2-hr exams do not go well together. However, I’ve been going to an injury rehab place and am slowly getting better. I’ve also been working on articles for the BG News (BGSU student newspaper) and my first freelance piece. I promise to have some original environmental stories up soon. This link will take you to the article on Planet Green that informs about 5 resuses for used tea bags. 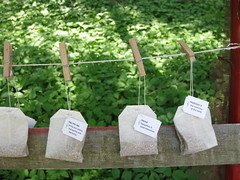 I saw a picture of handmade tea bags- tea and bags sold separately that individuals and construct for themselves- with messages tied around them. These favors were for a wedding and some messages just had the names of the couple and others said “The perfect blend.” I thought this was a super cute play on words and if the couple. For the avid tea drinking couple this would really show their chemistry and personality to guests. Wear white and dampen the tea bags. This game will hurt a lot less than paintball! Are you a high school senior in need of a good prank to make your graduating class a legend? Well if your school has a pool and you and round up enough classmates to buy tea bags…I think you see where I’m going with this. Check out this site and help keep good use items out of landfills! BGSU students backed up Wooster Street in Bowling Green this past week, some leaving for the summer and some graduating off to start their new careers. As students prepared to leave, environmentalism was still in the air. A BGSU program originally hosted by resident advisors known as WYMO (When You Move Out don’t throw it out!) takes place at the end of Spring semester when on-campus students get ready to depart for the summer. Students who have items that they can’t transport and have no need for any longer can be donated right on campus. This end of the year program complements a year full of BGSU environmental projects and volunteerism. Net Impact, a new organization at BGSU, hosted World Water Week to educate students and faculty about unsafe water in developing countries. This organization performed a “water walk” around campus carrying a banner and buckets of water. Students also spread the word by setting up a table in the student union where students could donate money and/or buy t-shirts. With a monetary donation, students could also opt to receive a water bottle filled with dirty water displaying a label with one of the many diseases that can contracted through consumption of unsafe drinking water. Environmental Service Club (ESC) performed its annual highway clean-up. Members strapped on lime green vests and grabbed trash bags as they worked their adopted part of OH-25. ESC hosts three highway clean-ups in an academic year. ESC also teamed up with Circle K International, a Kiwanis sponsored club, for a campus project. Members from both organizations crafted bird feeders to hand on trees around campus. The bird feeders were constructed out of simple materials that can be found in any home: a cardboard tube, string, wooden skewer, peanut butter, and bird seed. Environmental projects were not just a product of university organizations. Many other volunteer opportunities were orchestrated through BGSU’s sustainability coordinator, Nick Hennessy. Another student-centered project was Orange Bikes. This is a continuing community bikeshare program that helps students who are unable to afford or transport a bike and at the same time reuses old unwanted bikes. Volunteers repaired and painted donated bikes to be used as shared bikes on campus that are identified by their orange color. Students can sign up and pay a small fee to receive a key that will unlock any orange bike on campus. Hennessy also mentioned Campus Conservation Nationals, a three week contest for residential students. The goal for this contest was for students to reduce their energy use. “BGSU came in first place in Ohio and fourth place nationally,” Hennessy said. Final Exams may be finished but BGSU environmentalism lasts 365 days a year. Environmental leaders on campus like Hennessy and Sheppard are gearing up for next year’s activities. Sheppard said that BGSU has a lot of environmental volunteer opportunities but he feels like more students should get involved. Please watch this slideshow of photos that highlight some of this year’s environmental activities at BGSU. On April 16 I volunteered at Seeds of Hope Farm in Tiffin. BGSU students and some faculty helped to transplant over 1000 tomato plants and also build a chicken coop. Check out this video! Many places right in your own community can be a gateway for you to get active with the environment. Places like your local library or a nearby zoo offer environmental programs (a lot of time free ones!). This can also be a great way to help educate kids on environmental issues. If you are in the Northwest Ohio region here’s an upcoming opportunity you might be interested in: Toledo Zoo’s Party for the Planet! For a complete schedule of activities and list of recycling items to bring click here.